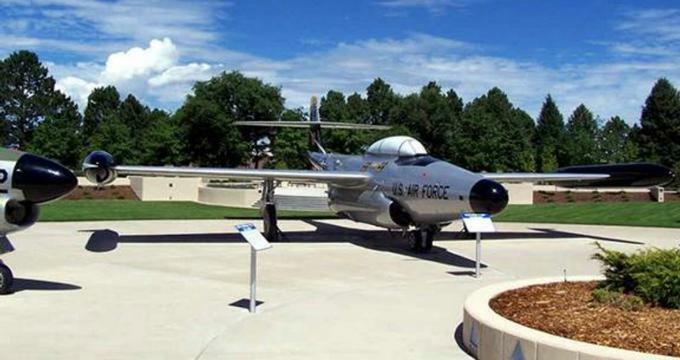 Located in Colorado Springs, the Peterson Air and Space Museum was founded in 1982. The facility itself started as a visitor center for North American Aerospace Defense Command. In 1996, the city enrolled all of their municipal airport buildings in the National Register of Historic Places. Today, the museum is at the center of an 8.3-acre historic district on Peterson Air Force Base. Through its structures and exhibits, the museum aims to promote education about civilian and military aviation history. This award-winning facility is Colorado’s oldest aviation museum. Each year over 20,000 military and civilian visitors find their way to this unique attraction. The museum is named after Edward J. Peterson, a Colorado native who was a well-known pilot in World War 2. Peterson is considered a local hero as he was the first Colorado-born pilot to lose his life in the line of duty. His dedication to the field of aviation as well as to his country stands the test of time and is reflected in his legacy. His name lives on in the Peterson Air Force Base, which is known for the fact that it is home to the North American Aerospace Defense Command (NORAD) and United States Northern Command (USNORTHCOM). It also shares an airfield with the Colorado Springs Municipal Airport. Serving as the entry point of the museum complex and historic district, visitors will doubtlessly appreciate the stylistic and architectural features of the terminal. This structure was built in 1941 and was the city’s first airport passenger terminal. It stands out due to its beautiful art deco-inspired design features such as its curved walls, interesting lighting fixtures, and stylized eagles in the entryways. Here visitors can learn about early Colorado Springs aviation history and Peterson Field as well as the Colorado Springs Municipal Airport Historic District. Built in 1928, the Old City Hangar is the oldest structure at the museum. Here, visitors can see early satellites, radar displays, and the Cheyenne Mountain Operations Center. There is also an ICBM exhibit, which includes an underground launch control center simulator. Particular emphasis is placed on highlighting the aircraft used in the Cold War. Air Park chronicles the history of North American air defense from the Cold War to the Vietnam War era. There are several USAF fighter interceptors on display here, which showcase how enemy aircraft were identified, intercepted, and shot down. By comparing aircraft such as the F-86L Sabre, made in the ‘50s, with the more modern Vietnam-era F-4 Phantom, visitors can appreciate the technological advances that took place within the span of just a few decades. The museum is also dedicated to preserving the memory of those who gave their lives to defend the country. Both their Gallery of Stars and their Medal of Honor Park are dedicated to this purpose. Medal of Honor Park celebrates the recipients of the Congressional Medal of Honor. The Gallery of Stars allows visitors to take a moment to honor the countless military personnel charged with defending North American airspace during the Cold War. As part of Aerospace Defense Command, which existed from 1946 to 1980, both Canadian and American servicemen and women were stationed in various bases around the country as well as in Greenland and Iceland, where they monitored the skies throughout the Cold War. Working in concert with Army Air Defense Command and Navy picket ship and fighter units, their efforts helped preserve the balance of power and ultimately helped ward off the specter of a nuclear holocaust in this tense chapter of global history. In addition to the many exhibits on display on museum grounds, there are several exhibits located a short walk or drive from the museum. Among these is the Minuteman III ICBM, P-40E Warhawk, and the F-104C Starfighter, among others. The museum has plans for expansion in the future by way of the Broadmore Hangar space. This was originally built for the purpose of accommodating visitors to the Broadmore Hotel and was the first and last site they would have seen on their visit. The museum plans to extend its visitor and exhibit space into the Broadmore Hangar while preserving many of the original design features that were present in the original 1930 structure, making it a focal point for the facility. A visit to the Peterson Air and Space Museum provides an insight into both the technological advances that shaped the history of aviation in America as well as the influence of these developments on global history.